But with great cookware comes serious heat, and you know what they say – if you can’t stand the heat get out of the kitchen! But not anymore! 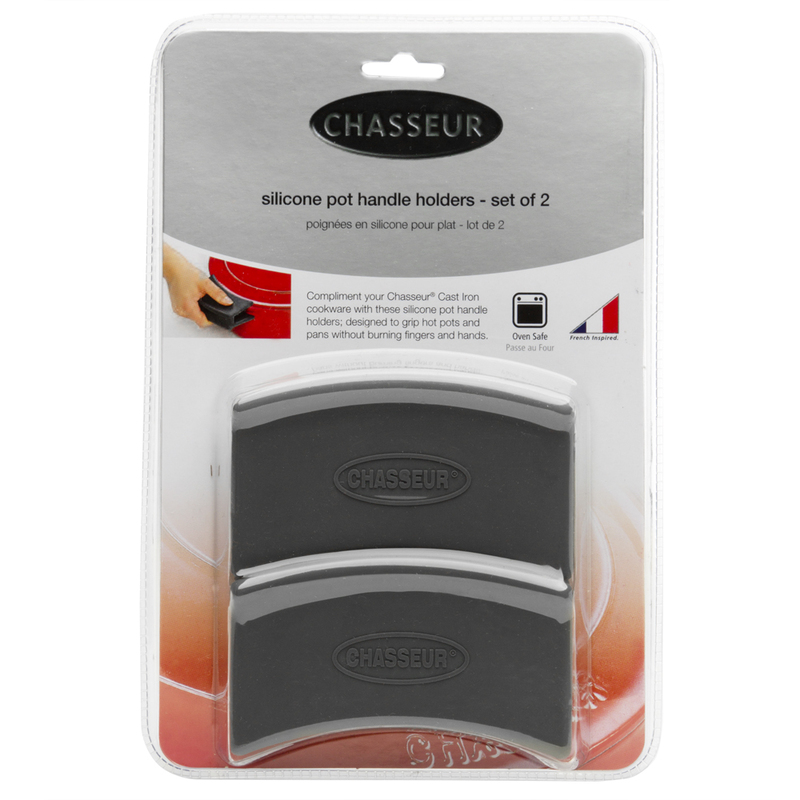 The Chasseur Silicone Pot Handle Holders keep your hands safe, while making it possible to pick up your oven-hot pots and pans with ease. Simply slide them onto the handles, let the non-slip teeth take hold, and away you go! It’s getting hot, hot, hot with Chasseur! Made from heavy duty silicone. Oven safe to 240 degrees Celsius. Freezer safe to -40 degrees Celsius. Lock-in teeth for secure hold on handle. Presented as a set of two Handle Holders. Dimensions: 10 x 5 x 2.5cm.